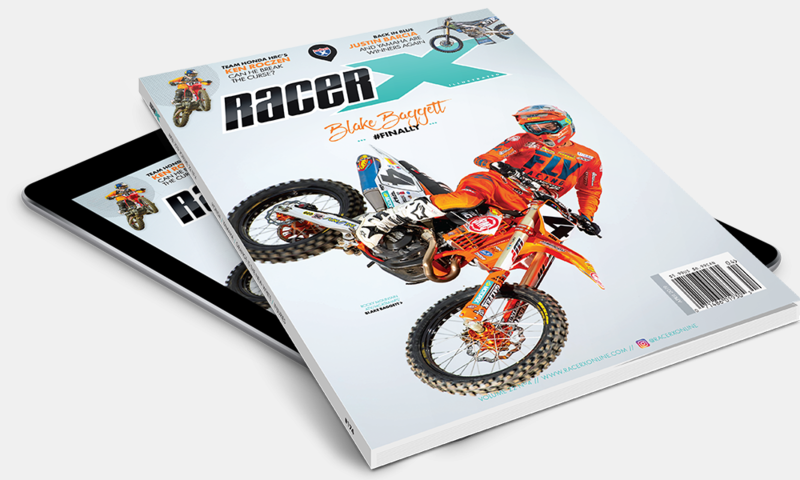 "Orange is the New White" is featured in the April 2019 issue of Racer X Illustrated. David Pingree did the writing. Subscribe now to read the entire article in full. You can pick up the digital edition and read this story right now—and the cost is just $9.98 for the whole year. When KTM announced in 2013 that it was buying the struggling Husqvarna brand from then-owner BMW, more than a few folks were left scratching their heads. How was this going to work? Would the Austrians at KTM consolidate production of the Swedish-born, Italian-relocated, German-owned Husqvarna? Would they compete in the same markets? Would one brand focus on off-road and the other on motocross? It took some time, and there were some awkward moments along the way, but the KTM/Husqvarna merger is finally making some sense. So, how do each of the businesses operate? First, you have to go back to where each company came from to understand how they got here and why they’re working together. In 1934, Austrian engineer Johann Trunkenpolz set up an auto-repair shop in a little town called Mattighofen. Within a few years he started selling DKW motorcycles, and later Opel automobiles. His shop was known as Kraftfahrzeug Trunkenpolz Mattighofen. During the tumultuous years of World War II, it was Trunkenpolz’s wife who took care of the business, which had been thriving thanks to the need for diesel engine repairs. When demand plummeted and the war ended in 1945, Trunkenpolz pivoted to the idea of building his own motorcycles. By 1951, Trunkenpolz was ready to build a prototype, with almost all of the motorcycle’s components produced in-house—with the exception of its Rotax R100 engine, which came from the Fichtel & Sachs motor works. Within a couple of years, the R100 reached mass production, though with fewer than two dozen employees, Trunkenpolz’s company could only finish three bikes per day. He looked around for investment help, and in 1953, businessman Ernst Kronreif became a sizable shareholder. The company was renamed and registered as Kronreif & Trunkenpolz Mattighofen—which we now know as KTM. The next big milestone came at the 1956 FIM International Six Days Trials in Germany, where Egon Dornauer earned KTM its first gold medal. With that honor, the brand’s racing heritage had begun. The company continued to expand through the sixties, even after Trunkenpolz and Kronreif had both passed. Forty years after it was founded, KTM was offering 42 different models. During the 1970s and 1980s, KTM also started to develop and produce motors and radiators. Radiators sold to European car manufacturers constituted a sizable part of the company's business in the eighties.